It's Cyber Monday and chances are you're getting inundated with discount offers and ways to save money. This is different! We don't want to sell you anything. Instead, we want to say thanks for subscribing to FLATSIXES.com and offer you two exciting books completely free: The Driver Book I - Decision and The Driver Book II - Training . There's no catch. You don't need to fill out a form. You don't need to give us your name. We don't want the keys to your Porsche. Simply visit Amazon.com and download one or both books to your Kindle completely free. Now this is important, this offer is only good for two (2) specific days; Black Friday (November 28, 2014) and Cyber Monday (December 1, 2014). Ok, we admit that the cover art looks like a bad video game. However, we found each book to be a page-turner and hope you do, too! 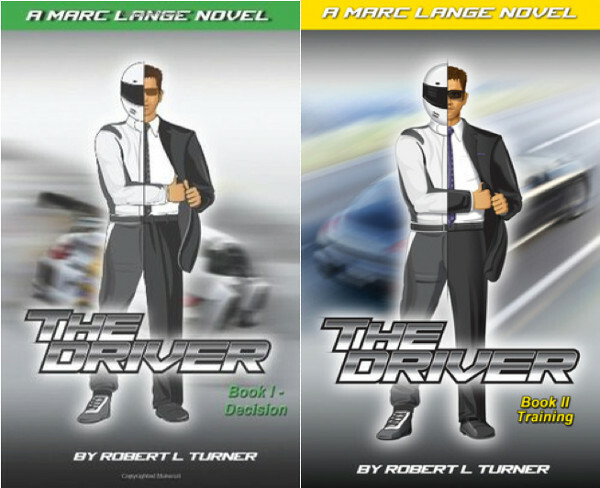 Book I - Decision: Marc Lange, a professional Porsche race car driver and team owner, has a problem. His team is almost broke. So Marc vows to do whatever it takes to keep the team running...and winning. Rene Dufour, after ten years of "Engagements" - transporting people or things off the grid and under the radar, frequently to dangerous places - longs to retire. He decides to bring on a protege. Posing as a potential co-driver, Rene gets Marc to promise to do something in return for enough money to save his racing team. All Marc has to do is go with Rene on one of his "Engagements". But when bullets start to fly, Marc knows he's in way over his head - can he survive his first "Engagement"? Get your free copy here. Book II - Training: Marc Lange knows how to drive a Porsche at the edge—that fine line between victory and catastrophe. But his team is only one blown engine away from shuttering the doors and his dreams of championships hang in that precarious balance. But then, at the last possible second, Rene Dufour slides into his life in a crazy four-wheel drift. The deal with Rene almost got Marc killed. He barely survived, but when he counted up the piles of Euros stacked in front of him he knew his fate was sealed. The Driver Book II - Training picks up on the action right where “Book I” leaves off. Now Marc is in training to be a Driver. Training that will save his life. But is he ready? Get your free copy here. Remember, you don't need to do anything to get your free copy of either book. However, we would ask that if you download one book, or both, that you leave a review once you've read it. More than anything the reviews, good or bad, are what helps books and authors get noticed on Amazon. Of course, while the author would prefer a good review, an honest one will work just as well. Thanks again for reading FLATSIXES.com and we hope you enjoy reading these two books , by Robert L. Turner, as much as we have. Thank you for the link to the books!! Keep up the great and fun work that you’re doing! Thank you very much for the heads up on the 2 free books. I found the kindle app on iTunes, downloaded the app and the books. Happy Holidays Flat Sixes! You guys Rock! Just received the email offer for the two free Mark Lange books and now it’s too late to take advantage of the offer! Hawley, by you saying you “just received” the offer. We take that to mean you just opened it? The offer was sent on Friday the 28th. Are you saying it just hit your inbox now?